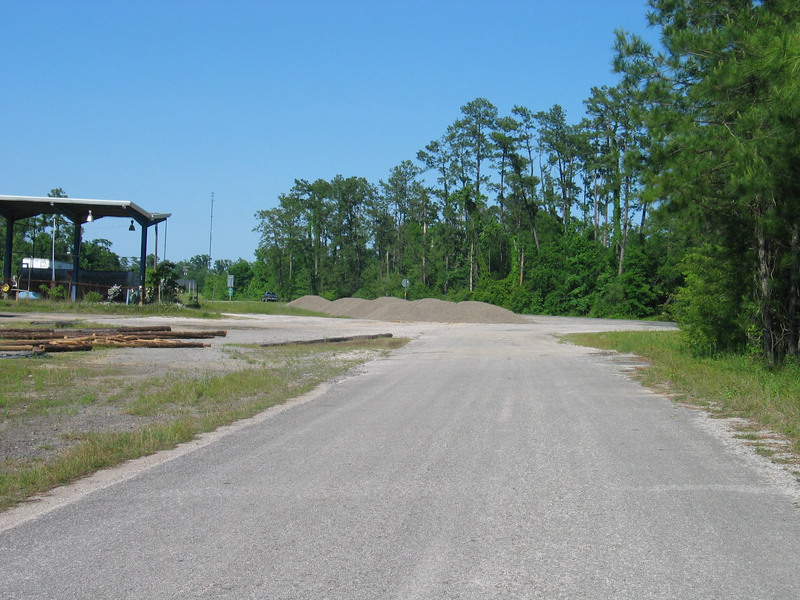 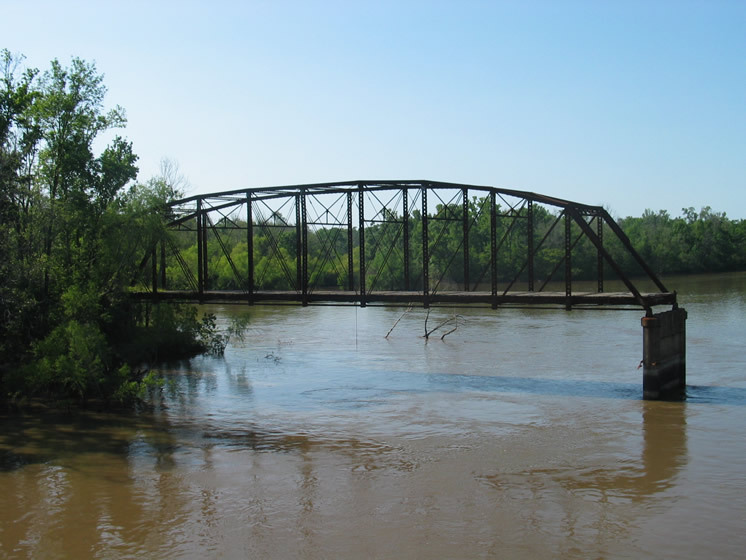 The Old US96 - Neches River Bridge is a Parker truss bridge located just west of Evadale. 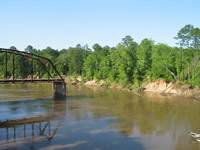 The approach from the west is a long elevated wood decked bridge with portions having been washed out by the Neches River. The river bridge is in very poor condition. 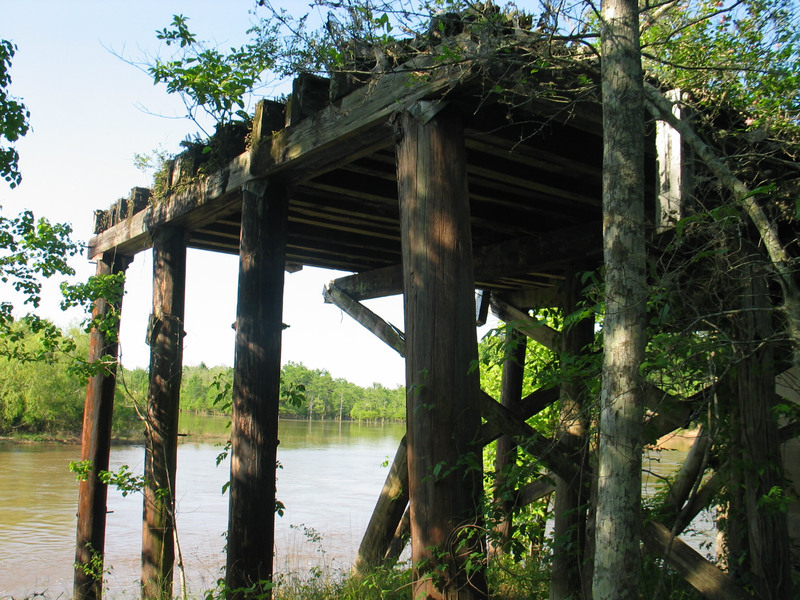 I would guess it won't be long before the bridge either collapses or the eastern support is washed out. 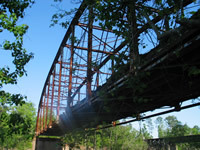 The photo above was taken from a railroad bridge just south of the Old US96 bridge. 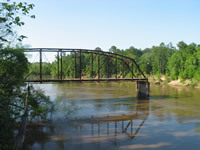 Although I cannot find any information on the bridge I believe it originally had just the one span. 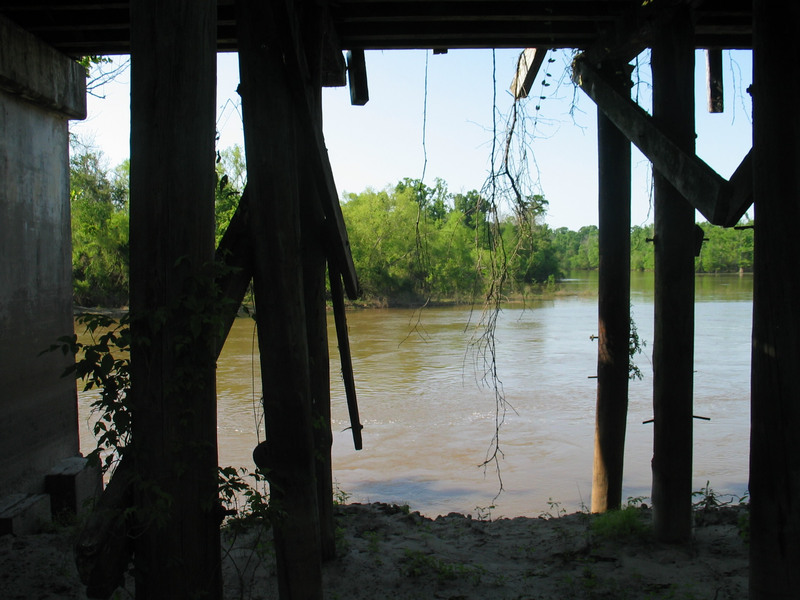 Most likely the missing area to the east was elevated was elevated roadway like the west, but the river has washed much of it away. 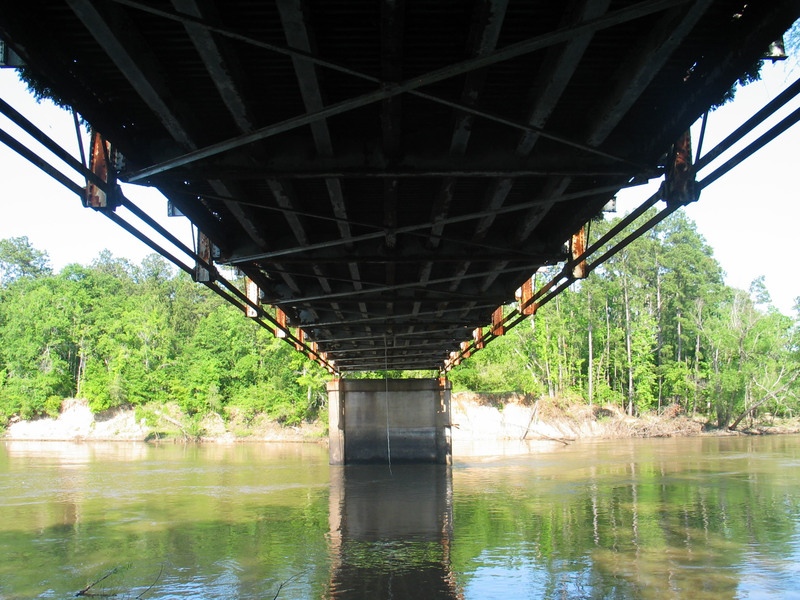 A puzzle is that the highway bridge is lower than the railroad bridge, but the railroad bridge is a swing bridge. Why would the railroad bridge need to swing if the highway bridge is lower? 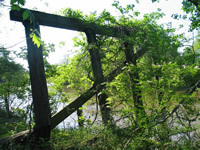 To access the bridge you must cross over the river using the railroad bridge. 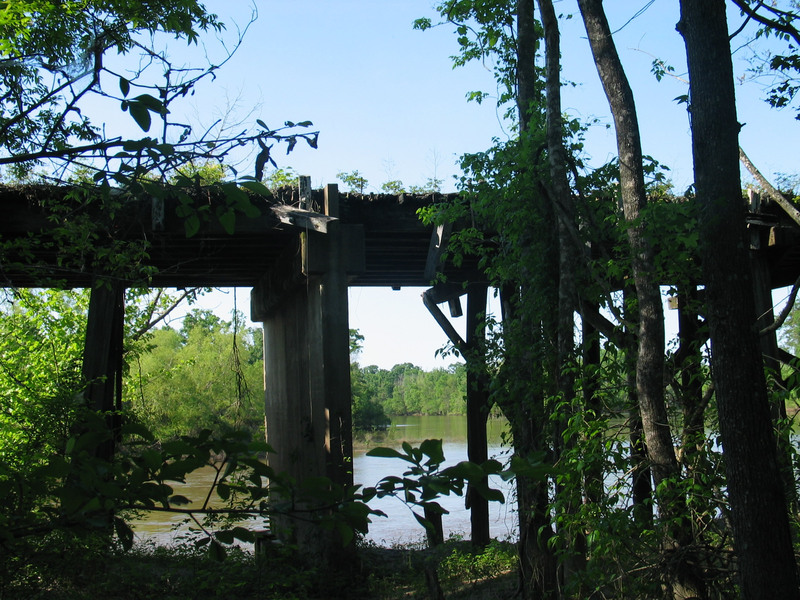 Once over the river you can double-back through the trees to the highway bridge. 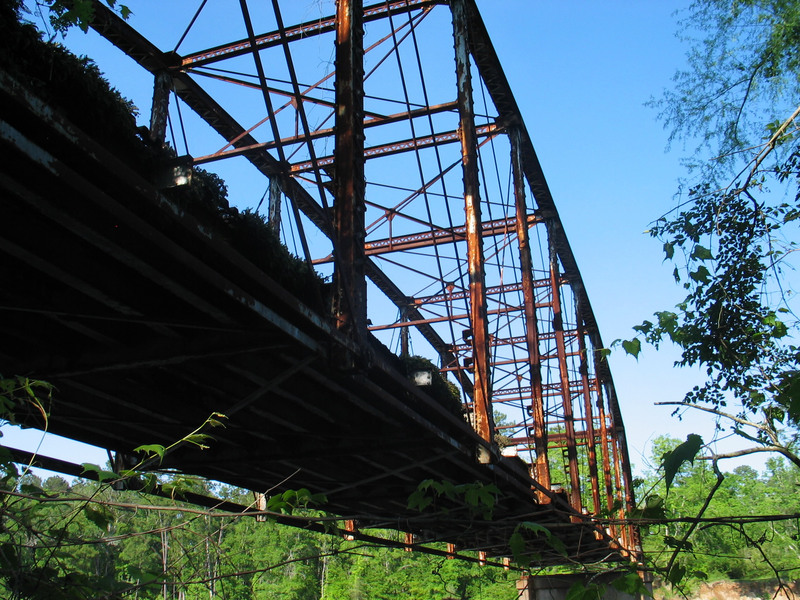 The only way to get on the bridge or the old roadway is have some climbing gear. 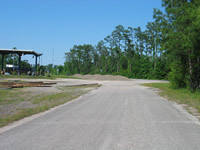 This satellite image gives a view of the area. 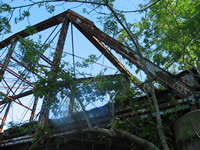 This view is looking up and along the south side of the bridge from about 15 feet from the west support. 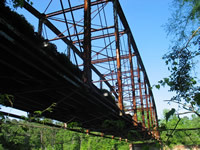 Another view looking up and along the south side of the bridge, but at the river bank. 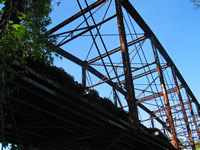 A closer look pointing up from the same location. 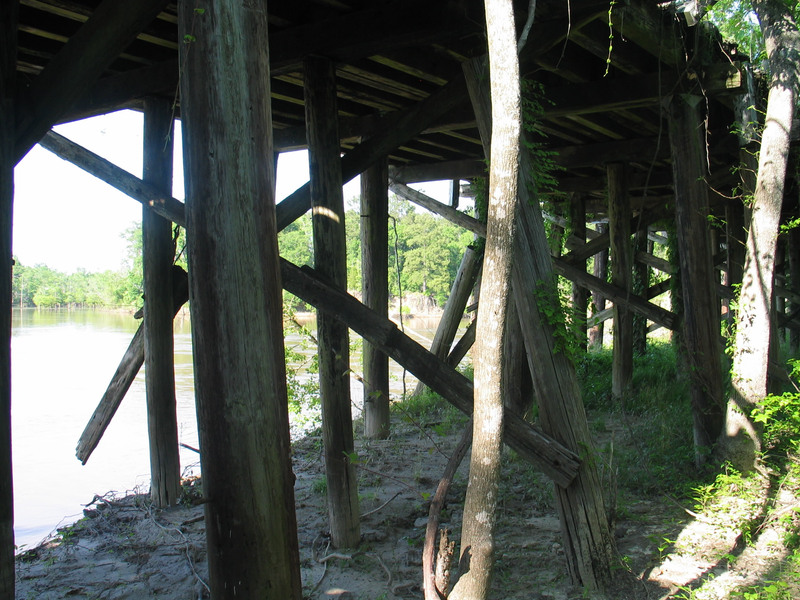 If you look at the vertical supports you can see the "guides or holders for the wooden guardrails (missing). 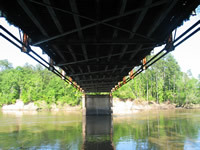 Standing under the bridge looking east. 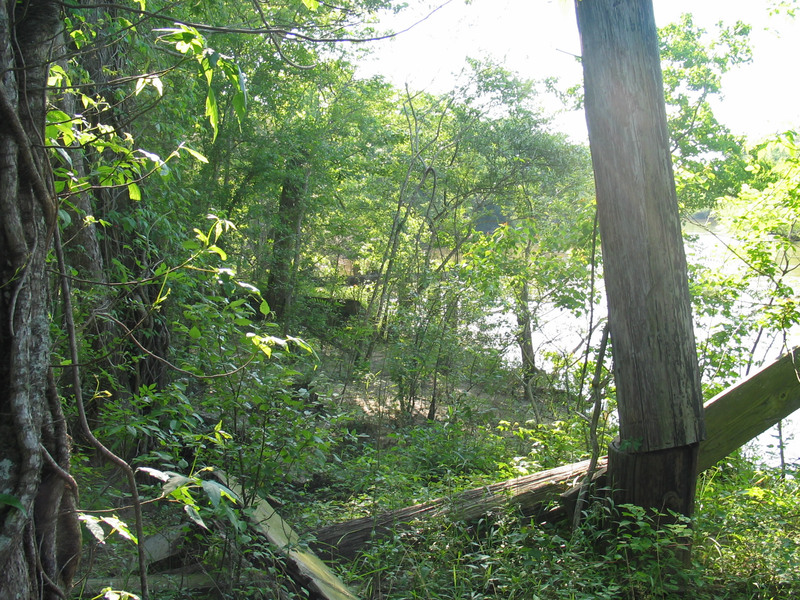 What a view. 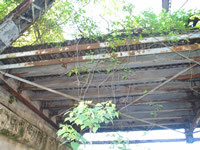 This is the west landing of the bridge from below. The west landing from the north side of the bridge. 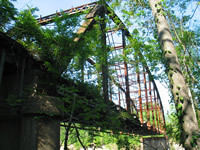 Looking east down the north side of the bridge. 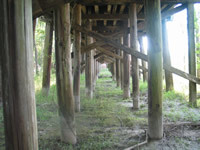 Looking northwest at one of the set of supports for the old elevated wooden roadway. 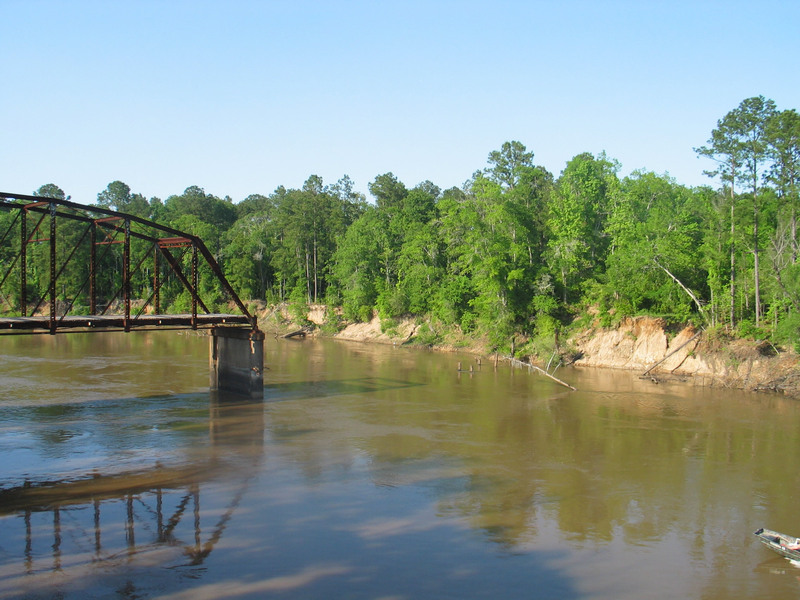 This section is falling apart due to erosion from the Neches River. 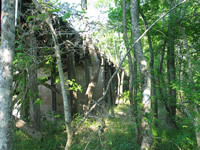 Another view looking north, but east of the location in the photo above. 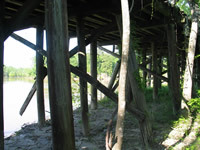 This shows one of the intermediate concrete supports. Looking west from Photo #8 you can see how the river has eroded away the bank. 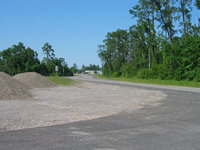 Looking east from the location in Photo #8 back towards the bridge. 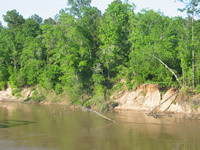 Looking northeast at the erosion area.. 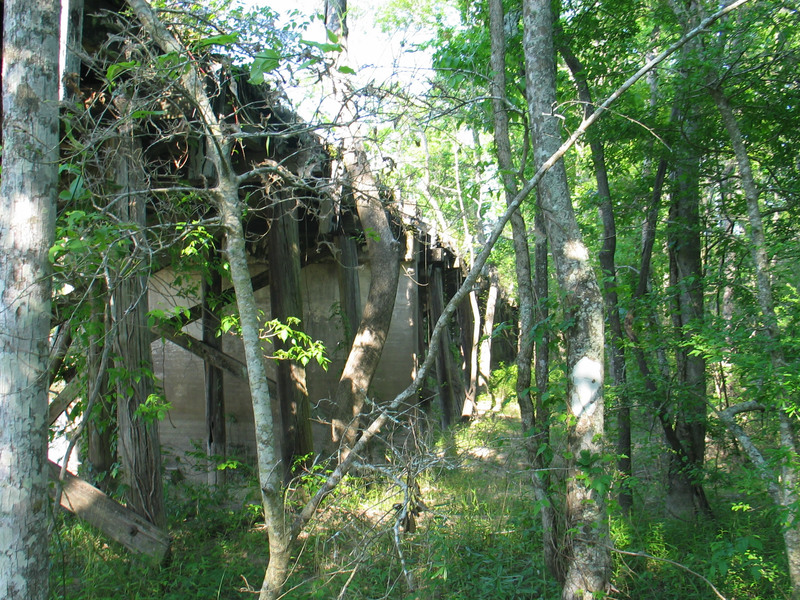 The end of the elevated roadway at the erosion area. 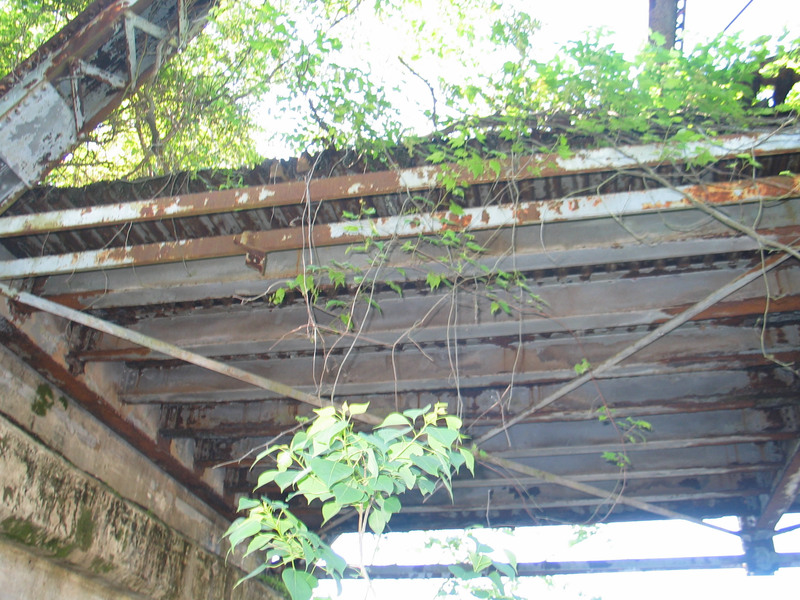 Looking west under the elevated roadway from the west base of the bridge. 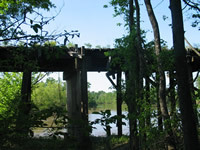 Standing on west end of the railroad bridge looking north at the highway bridge. Looking at the gap between the bridge and river bank. 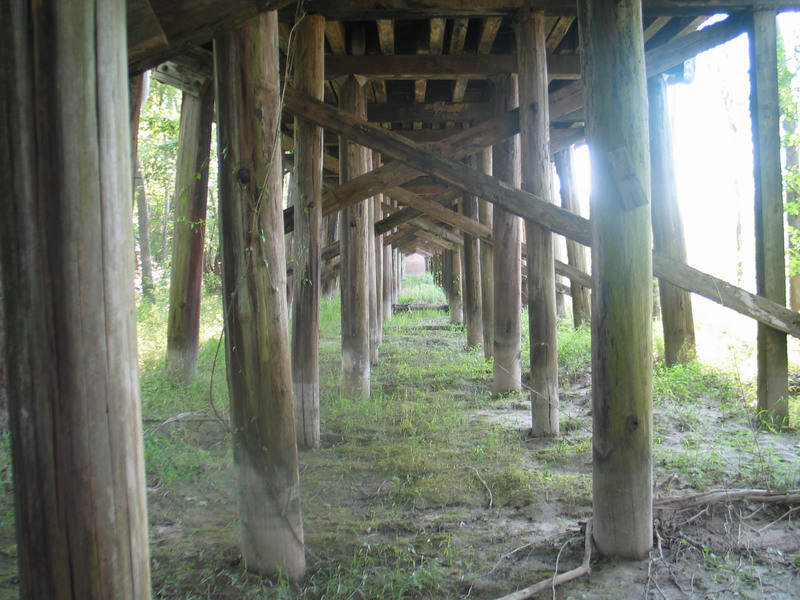 If you look closely you can some the remains of some of the wood supports from the east end. 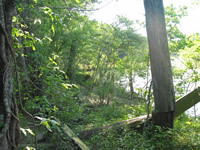 A closer view of the east river bank. 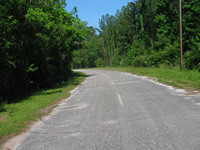 Looking west on CR864. The river is just beyond the trees at the end of the road. 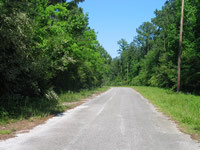 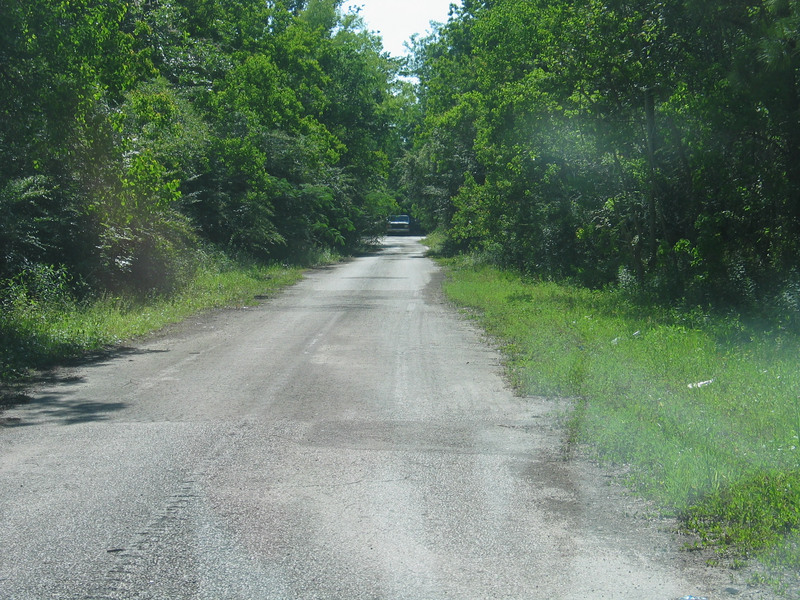 Looking east on CR864 from the same location as the photo above. 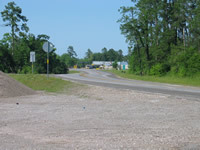 Looking northeast on CR864 towards FM105 and the town of Evadale. 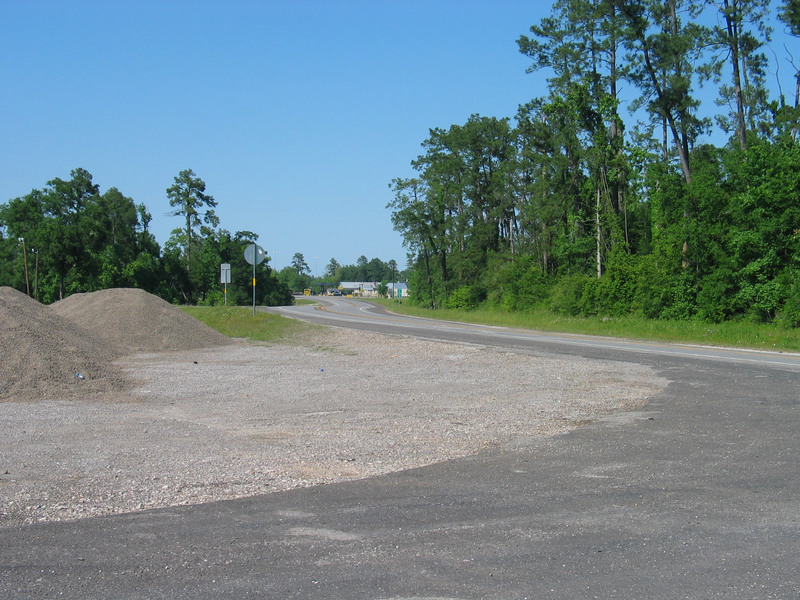 Looking north along FM105 (Old US96) into Evadale. 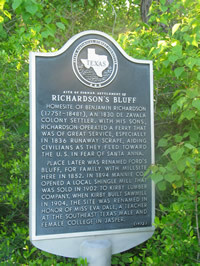 Historical marker at the intersection of CR864 and FM105.